It can be considered a productive day at Opera as we have 2 updated versions for today! 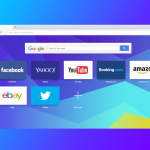 Opera Next is moved to version 24.0.1558.34. It includes new version of Chromium (37.0.2062.68) and some fixes related to tab preview. More details can be found as always in the changelog.